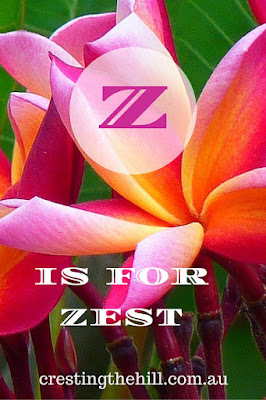 The last letter up for the A-Z challenge of Positive Personality Traits is Z - and Z is for Zest. I thought I'd go out with a bit of a fizz and a pop with zestiness. I love people who have a natural zest for life, they are always the first ones to put their hand up when a challenge presents itself. They are happy to have a go and leap into new situations. I am a bit of a "play it safe"-er where I will usually take the path of least resistance and stay well away from risky situations. That's all well and good, but it means I miss out on a lot of really fun things along the way. I won't be bungy jumping, or jumping out of a plane, or standing on a glass skybridge over the Grand Canyon, because I lack the zest gene! I'm aiming to work on this one though - life is short and I don't want to become a fuddy duddy in my old age. Zesty people are always looking for the next challenge, the next bit of fun, the next new experience. They are vibrant and go-get em, they can't wait to try new things and to share their adventures. I want to be that type of person - it's not likely to happen in the foreseeable future (I don't kid myself into thinking I'm about to be Bear Grylls), but it would be nice to think that I got zestier as I got older, rather than becoming a full blown stick in the mud. Maybe that's where our children and grandchildren come into the equation, they are always excited about new adventures, they draw us along with them into things we may never have thought of trying ourselves. Adulthood comes with a lot of responsibilities, and zestiness can be the balance to that - the opportunity to use our leisure time for fun and to bring a spark of zeal into our work environments too. So, that sums up my A to Z of Positive Personality Traits - I hope a few of them inspired you to invest some time developing that part of your character a little more. I know I'll be working on a few of them myself over the months to come. The April Challenge has also given me some insight and inspiration into how I want to approach my blogging for the next few months. I thought I'd tackle a new series each month. I blog three times a week (Mon, Wed and Fri), so that would give me twelve posts a month in each series. So, if you would like to join me - I'll be leaping with zest into May with 12 Things To Embrace. Please stop by for a visit - if you'd like a reminder, there is a spot to put your email address in my sidebar and the posts will come to you. A great ending word for the AtoZ Challenge, Leanne. I've so enjoyed your personality traits and characteristics words. Everyone so well written and thoughtful with a positive and personal touch for each of your commenters. Thanks for your visits and comments to CollectInTexas Gal. Thanks for the invite and challenge for May. Since I barely made it through April, I have a feeling May will be sparse on blogging posts. Perhaps, I'll get back in the swing later in the summer. Again, it's been such a pleasure meeting you on the AtoZ Challenge. Happy Blogging! Congrats on getting to the end and ending it with a Zest. I'll be sad to see it end as it was fun to write an A to Z post and I'll definitely be back again for it, but hate to wait another year. LOl Thanks for stopping by my blog also. 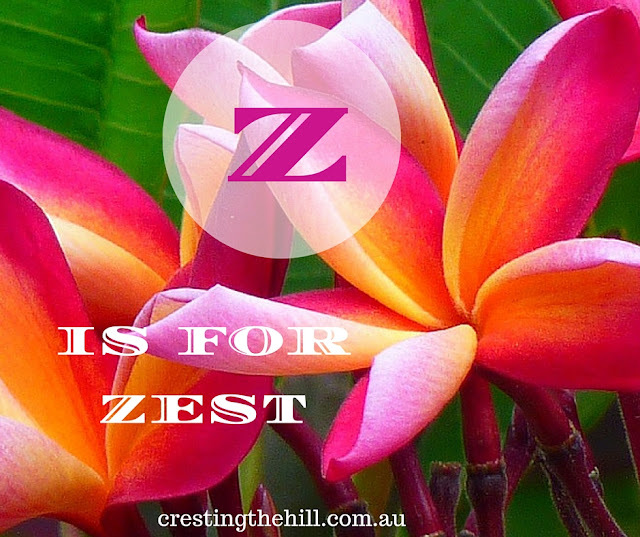 I love that word 'Zest'!!! It makes me want to jump around and be full of life. 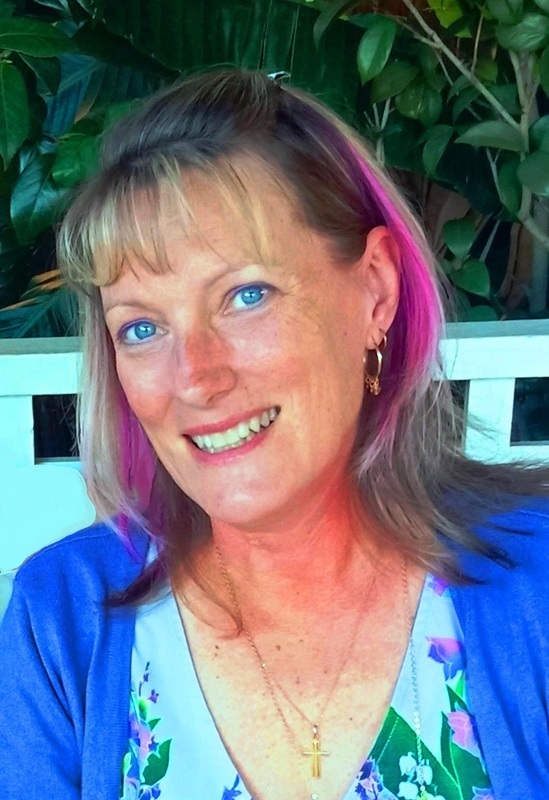 We can have a zest for living in mind and in body a great way to end AtoZ Leanne! Such a lovely post again Leanne. You really have spread the positive vibes throughout April. Thanks. I don't think you are lacking the zest-gene when it comes to bungy or skydiving. Sounds more like a 'I don't want to die in a Youtube video' gene!! And great job on completing the A to Z challenge! Your posts have been wonderfully inspirational. Great topic. I am not very zesty. But after having met my husband and having my kids... I am changing. Zest is contagious.. and I like being around zesty people. Great to have connected via the challenge. thanks Kalpanaa - it's been a really fun challenge to do - not sure if I'll manage it again next year though!